Did you know that ten carillon recitals, all free or charge, are presented each week at the Oratory? Don’t miss the opportunity to discover and enjoy this exceptional instrument. Titular Carillonist of Saint Joseph’s Oratory, Andrée-Anne Doane, offers performances on special events at the shrine. She also offers presentations on the carillon for people of all ages who visit Saint Joseph’s Oratory. No performance in February, except on Sunday and Wednesday. * Recital at 12:00 and 15:00 during the Novena, March 10 to 18. Andrée-Anne Doane received her musical formation (piano, flute, voice) in Montreal at Vincent-d’Indy School of Music with a collegiate diploma in music and she won a prize with high distinction in voice. Following her bachelor of music degree from L’Université du Québec à Montréal, she continued her vocal study in San Fransisco with Blanche Thebom, in Spoleto Italy with Enza Ferrari, at Lake Placid with Susan Webb, and at Boston’s McClosky Vocal Institute. The youngest in a family of singers, she was precocious in displaying her musical talent. With her family, she sang at the most prestigious festivals of Québec, as well as in Europe at the Festival of Vienna, and the Festival of Coburg, Germany. The Quintette Vocal de la Famille Laferrière-Doane (the Laferrière-Doane Family Vocal Quintet) performed numerous recitals in Montréal, made recordings for radio and television of Radio-Canada, and recorded a number compact discs under the SNE label. 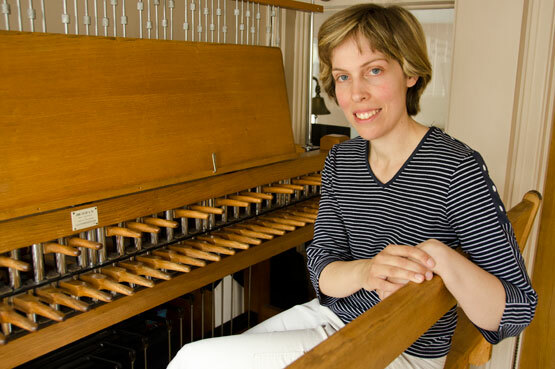 For several years, she taught Introduction to Music courses at Vincent d‘Indy school, all the while holding the post of organist in some parishes in Montreal. Leader of Song for Masses at Saint Joseph’s Oratory of Mount Royal for five years. Since October 2009 she has held the post of titular carillonist at the Oratory, having pursued studies with two renowned carillonists emeriti: Claude Aubin (Montréal) and Andrea McCrady (Peace Tower of Parliament, Ottawa). In June of 2013, she is welcomed into the Guild of Carilloneurs in North America in North America (GCNA). Please find technical and historical details about Saint Joseph’s Oratory’s Carillon.